By Stewart Plein. Dec 10, 2016. 9:00 AM. How is stereotype developed and how is it spread? Historically, books have played a role as purveyors of stereotype, both intentionally and unintentionally. It’s easy to think of a book’s text as promoting stereotypical points of view, but the book’s cover design is just as influential. 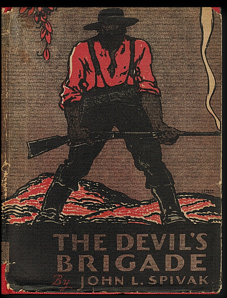 In the nineteenth and early twentieth century, book cover design was an unwitting influence on the development of the Appalachian stereotype. The artistic portraits of Appalachia and Appalachians found on the covers of books widely dispersed to reading audiences across the nation had a lasting impact on the stereotypical image of Appalachia. Much like the travel writing of earlier times, local color literature, a popular style in its day, was designed to provide the reading public with intimate glimpses into specific regions across the nation. Harriet Beecher Stowe and Sarah Orne Jewett wrote of the regional flavor of New England. Mark Twain and Bret Harte captured the excitement of the West, and writers like John Fox, Jr. and Mary Noailles Murfree, who wrote under the pen name Charles Egbert Craddock, were among the many authors who wrote of the Appalachian region. In the case of Appalachian local color literature, the decorated book cover and local color writing converged at a specific point in time that was crucial to the formation of Appalachian stereotypes. The decorative cover was an important element of the book, serving to reinforce the image of Appalachia as portrayed by local colorists. In this regard, the book’s image was as important as the image provided by the printed text in the development of the stereotypical image of Appalachia and Appalachians. When we look at the book cover in partnership with the text, we begin to understand the important role book binding design played in the development of the stereotypes and misconceptions of the Appalachian region and its people. Designed as a marketing tool, the book cover served as an attractive means to draw the prospective purchaser to the book. As such, the book’s cover became the controlling influence. This influence was exerted from the very beginning, with the publishers’ continual desire over the course of a century to make the book attractive and appealing to consumers. This integration of image and Appalachia on the cover of books began with the reconstruction of Appalachia as the American frontier in the mid nineteenth century. During this time period, as America became more urban, there was a ready market for books that offered tales of the frontier featuring rugged backwoodsmen like Daniel Boone. It was a time of looking back and longing for the frontier spirit. 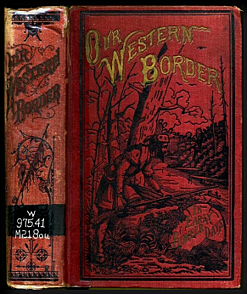 The great frontier hero, Daniel Boone, on the cover of McKnight’s Our Western Border, shown left, is surrounded by a complex wilderness. In this design Boone carefully leans over a mountain cliff, looking down to the river below, watching Indians canoeing upstream. He is pictured as a competent woodsman and explorer, living life free, without restraint, in verdant forests filled with danger. It was a time idealized by the book. But soon, book cover designs on Appalachian local color literature would change as they began to mirror the prevailing attitudes about Appalachians and the Appalachian region, changing over time as attitudes changed. The idea of the mountaineer as backwoods philosopher/woodsman evolved as America became more urbanized while Appalachia’s development was seen as static. 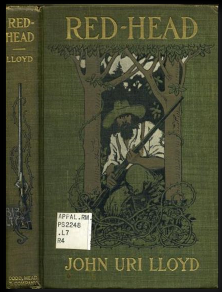 The rugged mountaineer on the cover of Lloyd’s Red Head, (1903) right, crouches with his rifle at the ready. Is he expecting trouble? Is he lying in wait for an ambush? To know the answer to these questions we must read the book. The cover draws us in, but no longer is the mountain man shown as master of the wilderness. His depiction has changed to one of an outlaw, rather than a pioneer. The design of the book cover is the first tool used to draw us in, to convey some idea of the story itself, and it provides clues to the pervasive ideas of turn of the century culture and attitudes. As the Appalachian stereotype changed and evolved, portrayals of the mountain man often fell into three distinct and recognizable categories: hunting, feuding, and moonshining. These concepts are, in essence, three images that were repeatedly used on the covers of books and it is these images that helped to develop the stereotypical portrait of the Appalachian mountain man we know today. The mountain man, although depicted here as a hunter, is not shown in command of the wilderness, but as a hunter/gatherer/provider. The mountaineer on this cover returns at the end of the day with a full sack, a gun over his shoulder, and his dog by his side. The rising smoke of a recently fired rifle is the key to these images. To the world outside of Appalachia the feud is now recognized as the only form of mountain justice. Ever on the lookout, the mountain man is seen protecting his still from advancing revenuers. As our tastes in literature have changed over time, these books, once prominent best sellers, have fallen into disrepair through heavy use followed by long periods of neglect. 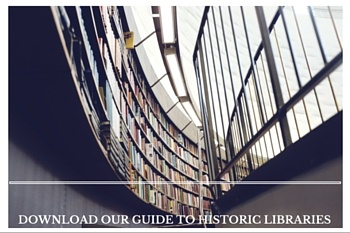 In libraries, most have been stripped of their original bindings and rebound. The few that remain are prime candidates for preservation. By collecting, examining and preserving these books, bound with images that reflect nineteenth and early twentieth century ideas on a specific region and its people, we can view the development of stereotype through the progressive history of idea. 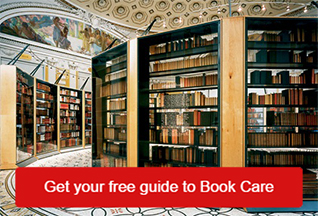 The cover image serves as a gateway to the text, and it is the first indication of the book’s contents. As a marketing tool, the cover design was a compelling way to attract customers and provide a glimpse of the book’s contents. It is the combined image, the book’s text as well as its binding, which served to promote an idea and make it a real and lasting concept. These books, once commonly found in every home and library are now fragile resources over 100 years old. Preserving these books is important as representations of the historical record of Appalachia in material and pop culture and as evidence of cultural viewpoints that linger to the present day. 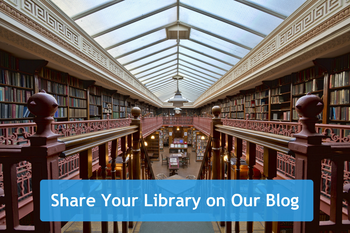 Editor's Note: Many thanks to Stewart Plein for her insightful post and for sharing it with the Books Tell You Why community. Below, please find a list of the books shown above (in order of appearance), as well as links to a journal article published by Ms. Plein which she used as reference for this post. If you have questions or thoughts about this topic, leave her a comment! Spivak, John Louis. 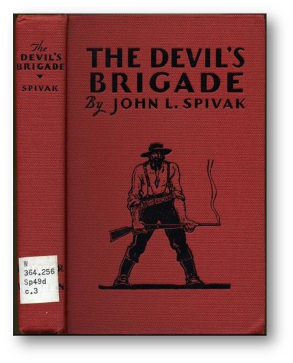 The Devil's Brigade; The Story of the Hatfield-McCoy Feud. NY: Brewer and Warren, Inc., 1930. McKnight, Charles. Our Western Border, in Early Pioneer Days: containing the true account of western frontier life and struggle in the most heroic age of America . . . Chicago: Educational Company, 1902. Lloyd, John Uri. Red Head. Illustrated by Reginald B Birch. NY: Dodd, Mead & Company, 1903. Spaulding, Arthur Whitefield. 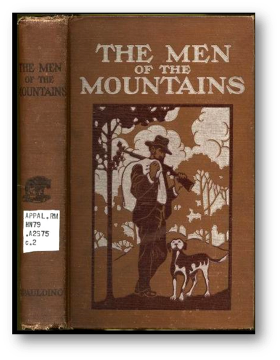 The Men of the Mountains; the Story of the Southern Mountaineer and His Kin of the Piedmont; with an account of some of the agencies of progress among them. Nashville, Tenn., Atlanta, Ga. Southern Pub. Association, 1915. Coates, Harold Wilson. 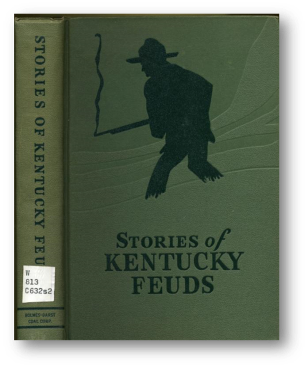 Stories of Kentucky Feuds. Knoxville, Tenn., Holmes-Darst Coal Corp., 1942. Eggleston, George Cary. 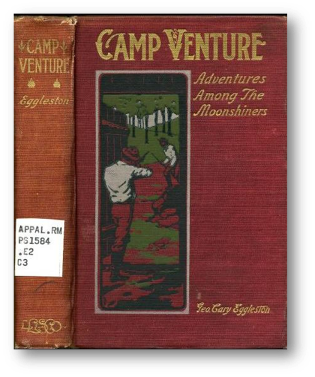 Camp Venture, A Story of the Virginia Mountains. Adventures Among the Moonshiners. Boston: Lothrop Pub. Co., 1901. Journal of Appalachian Studies article: “Portraits of Appalachia: The Identification of Stereotype in Publishers’ Bookbindings, 1850 – 1915.” Fall 2009, Vol. 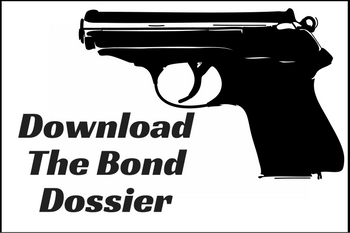 15 Issue 1/2, p 99-115. 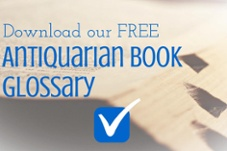 Available from EbscoHost: http://tinyurl.com/portraitsofappalachia. Available on Academia.edu: https://wvu.academia.edu/StewartPlein/Publications. Rare Book Librarian. Passionate gardener, dreamer, and collector of publisher’s bindings, especially books designed by Margaret Armstrong, another lover of flowers. A writer and reader who also enjoys long walks in the woods and Sunday drives with her husband.